He, a child, is the Son of God, Who comes to save us. He came among us to show us the face of the Father, full of love and mercy. Let us therefore hold the Baby Jesus in our arms and put ourselves in His service: He is the source of love and serenity. 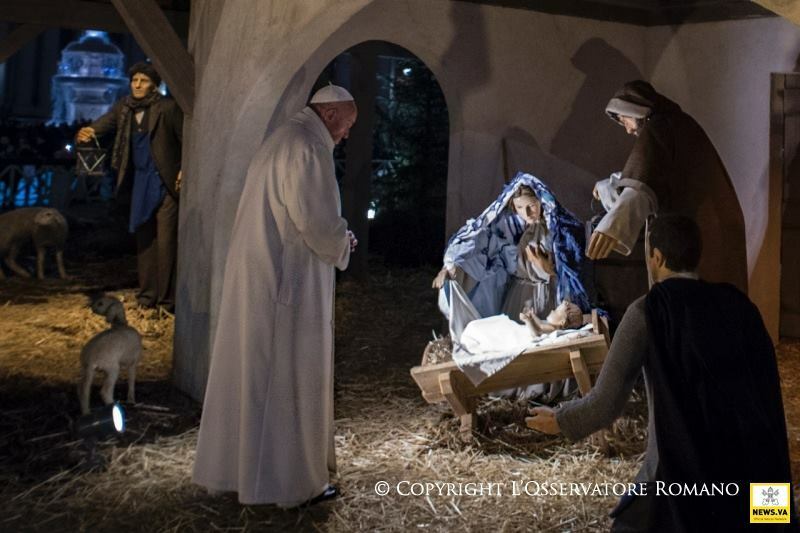 Pope Francis visiting baby Jesus in the Nativity Scene at The Vatican.